Art therapy, sometimes called creative arts therapy or expressive arts therapy, encourages people to express and understand emotions through artistic expression and through the creative process.​The creative process involved in expressing one’s self artistically can help people to resolve issues as well as develop and manage their behaviors and feelings, reduce stress, and improve self-esteem and awareness. 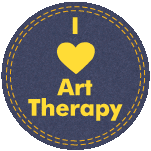 We offer art therapy classes to centers such as rehabilitation, senior and veterans and centers for people with learning disabilities. Classes are offered once a month. Contact us today for more details.